This interactive presentation contains the latest oil & gas production data from all 12342 horizontal wells in North Dakota that started production since 2005, through March 2017. Oil production in March declined with about 1% over the previous month (1,026 kbo/d vs 1,034 kbo/d) . The above graph shows that, after a 2-month hiatus, production from older wells fell again. Gas production rose again, to 1.73 BCF/d, and is now close to the all-time high of November 2016 (1.76 BCF/d). In March 56 new wells started production, vs 62 in both January & February. I expect this number to go up in the coming months, as drilling & completion activities are resuming after the winter break, and after road restrictions have been cleared. 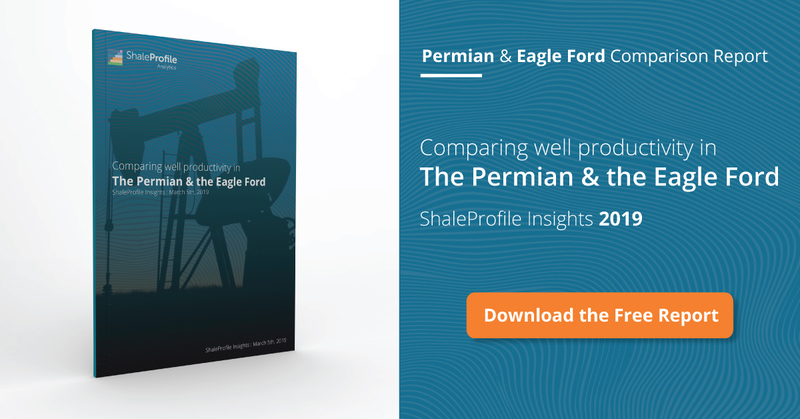 The graph reveals the major changes in well performance after 2014, as fewer wells were completed, and as frac volumes have gone up significantly. You’ll see more recent, and detailed data, if you set the “Show wells by” selection to “Quarter of first flow”. This will group the performance of wells by the quarter in which they started, and it will show you that since the 2nd quarter of 2016, wells again peaked far higher than earlier wells, before starting to fall off in a an apparently similar fashion. I’ve excluded Bowman county using the “County” selection filter, as most of the horizontal wells in this county are conventional ones. The 2nd tab (“Cumulative production ranking”) ranks all counties in North Dakota by cumulative production. You’ll notice that just 4 counties have been responsible for most of the oil production. If you change the ranking selection to “Well”, the list will show you the ranking of all 12,342 individual horizontal wells in ND instead. In about 2 weeks I expect to publish a post on a state that I haven’t covered before. I am trying to figure out the average decline rates for legacy production. Using you dataset, it looks as though it has been around 50% since 2010, dropping a bit in 2016. In a scenario where US shale adds 3 mb/d of new production for a few years, what do you think will be the average decline rate for legacy production. I guess it will go down gradually before flattening out, but to what level? 40%? > I guess it will go down gradually before flattening out, but to what level? 40%? That’s also not an easy question to answer; the reason is that much older wells peter out at a rate of somewhere around 10% per year (+- 5%). Therefore, the rate of decline of all legacy production will be somewhere between this number, and 60%, all depending on how much new production is added each year, on which I don’t have an opinion. I wonder what it would look like if you normalized the data to all have the same amount of wells per year, but just took the best wells from years 2012-15 and compared to the newer wells 2015-2017 in your ult. recovery profile. Indeed an interesting question that I’ve been pondering myself as well. In the current presentation, this question cannot be directly answered. However, I belief that using the “Productivity Distribution” overview, in theory it is possible to answer this question already. It would require quite some work though. If somebody is going to do that, I hope the result is posted here. I may be able to do more on this in the future, but I haven’t planned this yet. Related to this, I’m keen on seeing how well productivities are changing now that we start to see more activity again in several of the basins I cover.